Andrea Rehn’s research and pedagogy are based in a commitment to postcolonial studies. Her own digital pedagogical practice arose organically through her joy in project-based collaborative learning. Exploring, extending, and experimenting with critical (digital) pedagogies suitable for the liberal arts classroom has become one of her central scholarly interests as well as her mode of teaching. Her current research, supported most recently by a Visiting Fellowship at University of Southampton and Chawton House Library in Spring 2014, focuses on a material history approach to understanding Jane Austen’s readership in the early- to mid-nineteenth century. Andrea is also co-Editor of Victorian Poetry and Poetics in Context, a cross-institutional wiki hosted by Alison Chapman at University of Victoria. She has published on Conrad, Kipling, Isabella Bird, Jane Austen, and digital pedagogy. Please email her at arehn at whittier.edu for more information about DigLibArts. Anne Cong-Huyen holds a PhD in English from University of California, Santa Barbara, and was previously a Mellon Visiting Assistant Professor in Asian American Studies at University of California, Los Angeles. 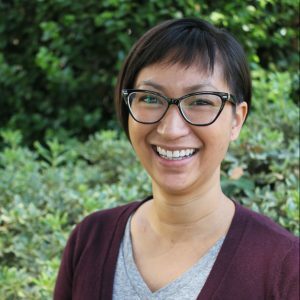 As Digital Scholar for Whittier, she will teach courses in digital and media studies, and she will be actively engaged in the formation of the DigLibArts Center in Wardman Library and leading faculty, student, and staff in digital pedagogies and collaborative initiatives. Her own research examines the media of migration and labor and dwelling in “global cities,” namely Dubai, Los Angeles and Ho Chi Minh City, with particular attention paid to the ways gender, race, class, and nationality affect how the temporary and the precarious are experienced. Anne is also serves in leadership capacities for HASTAC, FemTechNet, and is a founding member of #transformDH. Sonia Chaidez works as part of a collaborative community in which creativity and technology lead to new methods of research, learning, and publication. 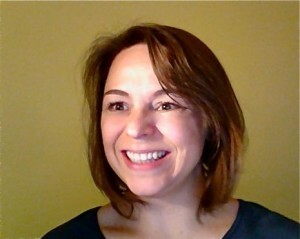 She helps to build programs and projects that blend pedagogy with digital technologies. She teaches digital storytelling as a pedagogical tool to engage students in higher order thinking, deep learning and to build digital literacy skills. Sonia’s teaching and learning interests are also mapping, wearable technologies, augmented reality and film studies. 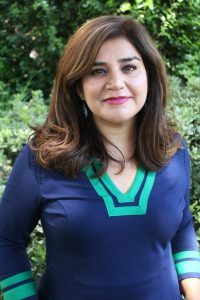 She’s currently partnering with Whittier College’s social work and education departments to hold community-based workshops to expand digital literacies. Sonia has also made documentary films in Mexico, Cuba, Syria and Iraq to show the plight of cultures trying to preserve their history while adapting to modernity. This fall, Sonia will be attending the Council on International Education Exchange conference to help promote study abroad opportunities to underrepresented students and explore how technology can enhance international learning experiences.